The GS50-50 was designed specifically to offer sound "in between" gold and silver*: to combine the sweetness of gold and the subjective "air" of silver - but without the typical silver "edge". GS50-50 cables are NOT a mix of gold and silver wires. Their signal path is made of a solid core alloy wire - which is manufactured to our special order using the "continuous cast" technology (sometimes referred to as "single crystal"). 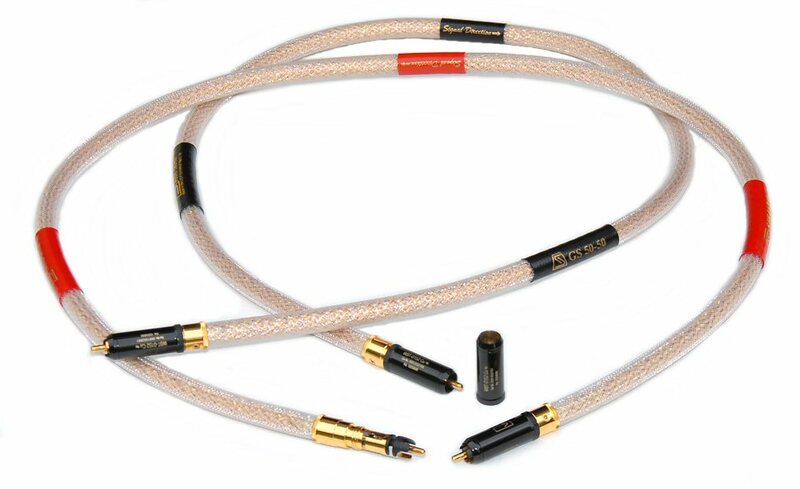 It appears that the difference in sound between gold, silver and GS50-50 is not only in the amount of subjective "air" - but also in the bass and midbass where the GS50-50 cables surpass both gold and silver. The sound has more subjective "body", it's "bigger", more "punchy" - and "airy" at the same time, plus it has greater perceived dynamics than either pure silver or pure gold, while keeping the same delicacy and detail the pure gold (original PGS series) cables are loved for. In October, 2004, the GS 50-50 design received an overhaul: the outer jacketing became lighter (making cables more flexible) and changed color to light gold shade - reflecting the cables' "gold-silver" nature. Until early 2008, GS50-50 shipped with our experimental RCA connectors. Since its introduction, some GS50-50 pairs were terminated with German WBT connectors, which have been always available as an option; In March, 2008, the GS 50-50 design was updated again: the WBT Nextgen connectors are now standard (the latest WBT version, with machined metal shells - instead of the previous molded plastic shells ); inside the cables, the proprietary gold-silver alloy wire now rests on a strong Kevlar core, which makes the cables virtually unbreakable. As the result, the GS50-50 sounds even better than before. The XLR connectors used with the balanced GS50-50 have not changed. 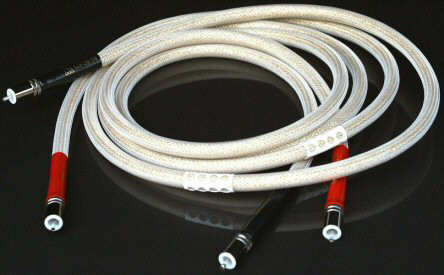 They are sourced from the World's largest PRO and high-end audio connectors manufacturer: Neutrik of Switzerland. *Pure gold sounds sweet and mellow; pure silver sounds "forward" and puts an emphasis on the presence region. ** The revision abbreviations are given for information and identification of various cable versions only: the cables are not marked!